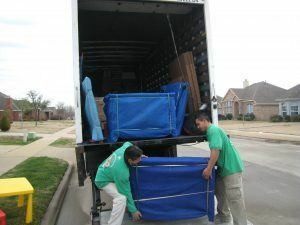 Local moving services across the nation have always strived to offer the best service possible, but few manage to follow through on such promises. There is a reason why families and businesses across the country turn to Green Van Lines for University Park movers. We offer a variety of comprehensive moving services at affordable rates to meet any need you may have. Our team of local movers in University Park has years of experience handling the prized possessions of families and businesses. We carefully pack each item using environmentally friendly packaging solutions and load each item into our bio-diesel trucks. We strive to leave as minor an impact on the local environment as possible. A long distance move can be an extremely stressful and hectic time in your life. At Green Van Lines, we work tirelessly to reduce that stress and bring a bit of order to the chaos. By helping to sort and pack each item in your home or office and handling the logistics of long distance moving, our University Park movers show their worth on a daily basis. You should only trust experienced professionals to transport vehicles from one point to another. At Green Van Lines, our University Park movers have the experience and tools available to safely and securely pack, load, and transport an entire fleet of vehicles. Whether you collect old-school cars or simply have a few trucks for your business, we will treat them as our own during transit. Our vast experience has taught us that a solid move plan, serious preparation, and cooperation can work wonders. Our University Park movers work directly with businesses in the area to safely pack and move heavy machinery and office furniture. We focus on eliminating confusion and reducing your company’s downtime. Green Van Lines has moved almost every type of furniture and household item known to man. In the past few years, we have helped thousands of families relocate and start a new life in a new home. In University Park, our team of professional movers will help pack and load each item you would like to bring with you. When we deliver those items, we’ll be on time, and your goods will be undamaged. It takes a lot of equipment to run a corporation. The boardroom alone has many chairs, a large table, and probably a computer or two. Our experienced movers in University Park will successfully move any machinery, electronics, and furniture you require to run your business at a new location. Feel free to visit our Dallas office. The address is 9801 Brockbank Dr, Dallas, TX. University Park, a northern suburb of Dallas, is the home to the Southern Methodist University and a variety of businesses. When it comes to educational opportunities, very few other cities in the area can compare to the level of quality achieved in University Park. With the Highland Park Independent School District and Dallas County Community College District, there are plenty of options for education. For high-quality and affordable moving services, contact Green Van Lines at 888-770-4733. We’ll send a team of movers in University Park to your home or office as soon as possible.